Usually the Accidental Locavore likes chocolate straight up – with no additions of coffee or chipotle or whatever getting in the way of pure chocolate happiness. However, when I saw this recipe from David Lebovitz (and happened to have all the ingredients) and needed to bring brownies to dinner with friends, it was time to break out of my pure chocolate comfort zone. Line an 8 or 9-inch square pan with foil, making sure it goes up all four sides. Use two sheets if necessary. Mist with non-stick spray or grease lightly. 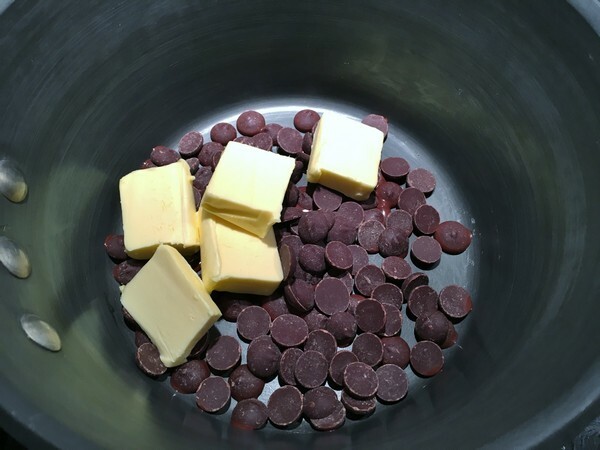 To make the brownie batter, melt the butter and chocolate over low heat, in a medium saucepan (not non-stick) stirring until smooth. Remove from heat and beat in the 2/3 cup sugar, then the eggs. Mix in the flour, cocoa powder and salt, then the vanilla and chocolate chips. Spread evenly in the prepared pan. For the cheesecake topping, in a separate bowl, beat together the cream cheese, the yolk, 5 tablespoons of sugar, and vanilla until smooth. 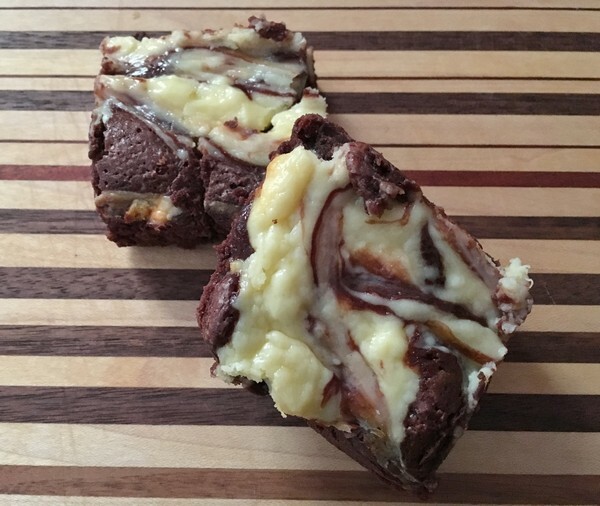 Distribute the cream cheese mixture in eight dollops across the top of the brownie mixture, then take a dull knife or spatula and swirl the cream cheese mixture with the chocolate batter. 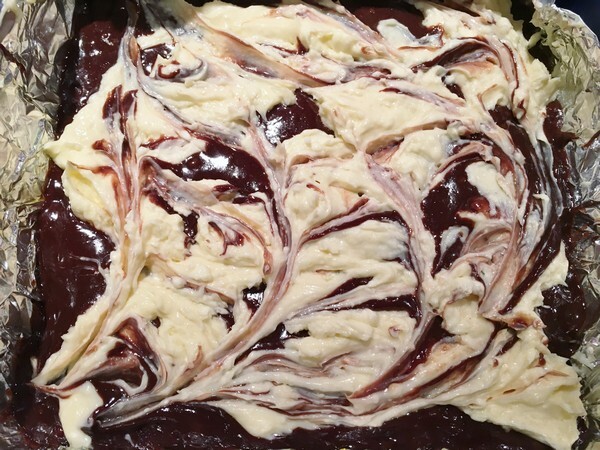 Rap the pan on a countertop a few times to let the batter and swirl settle together. Bake until the batter in the center of the pan feels just set, 35 to 40 minutes. Let cool, then lift the brownies out holding the foil and peel it away. Cut the brownies into squares. Serve and enjoy! My verdict: If you only made the brownie part, you’d still have a great brownie! Adding the cheesecake topping just took them to a whole other level. While I wouldn’t want these every day, they were a delicious change from the ongoing brownie mix competition we’ve been having with our friends. Don’t let the cheesecake part scare you away from making these, it comes together easily and getting the swirl part is half the fun. 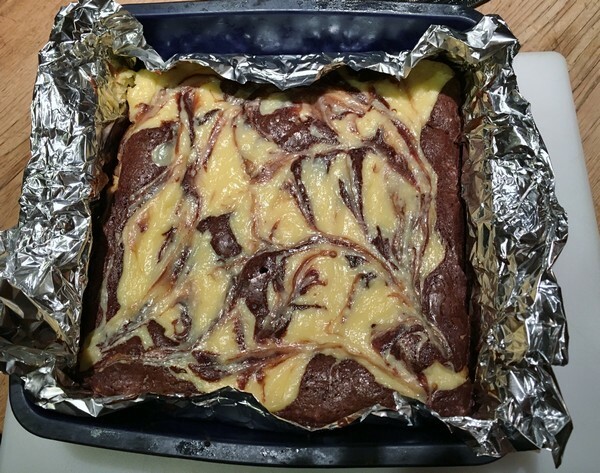 I’m not sure how necessary lining the pan with foil is, since I’ve been using a silicon brownie pan, which because of its flexibility, makes popping the contents out really easy. Next time, I’m going sans foil.